From Englesrufer, this Rose Gold Plated chain is a perfect base for Englesrufer pendants and charms. The Englesrufer Rose Gold Plated 90cm Thick Chain is delicately crafted and is a perfect gift for the special person in your life. 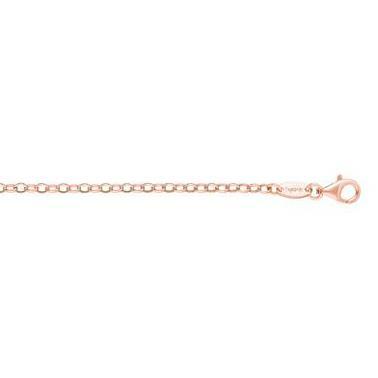 In a romantic Rose Gold colour, this chain is a great addition to any outfit. This chain is crafted in Sterling Silver and is 18ct Rose Gold Plated.